There are only 100 available of the Alton Pendant Chic Dome Glass, Chrome. Your selected quantity has been adjusted. Fast shipping to Arizona. 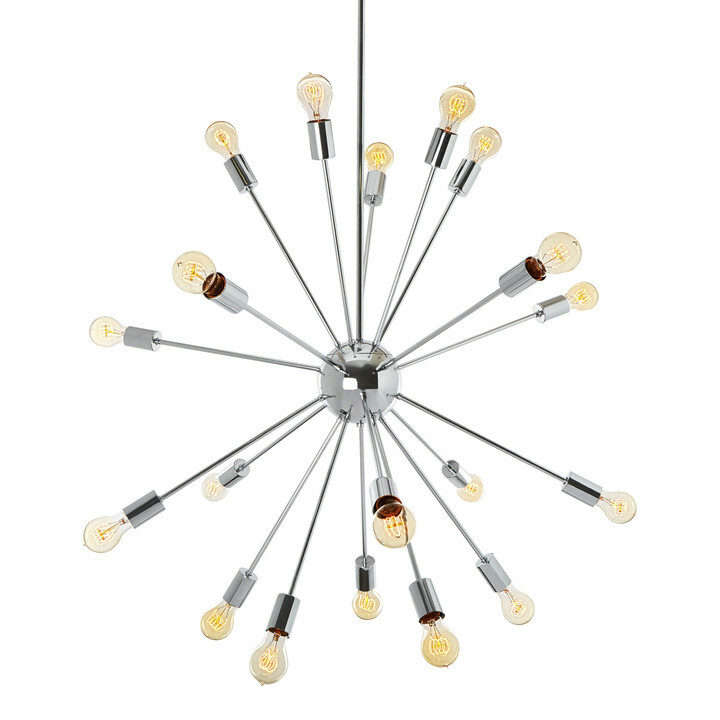 Very cute pendant light for my office. Nice manual. 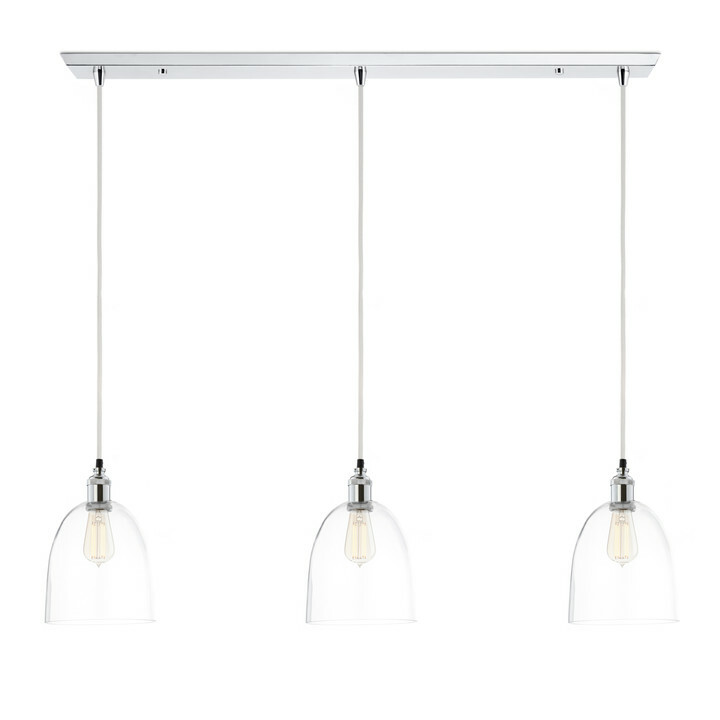 Is this ok as kitchen lighting? like over an island? 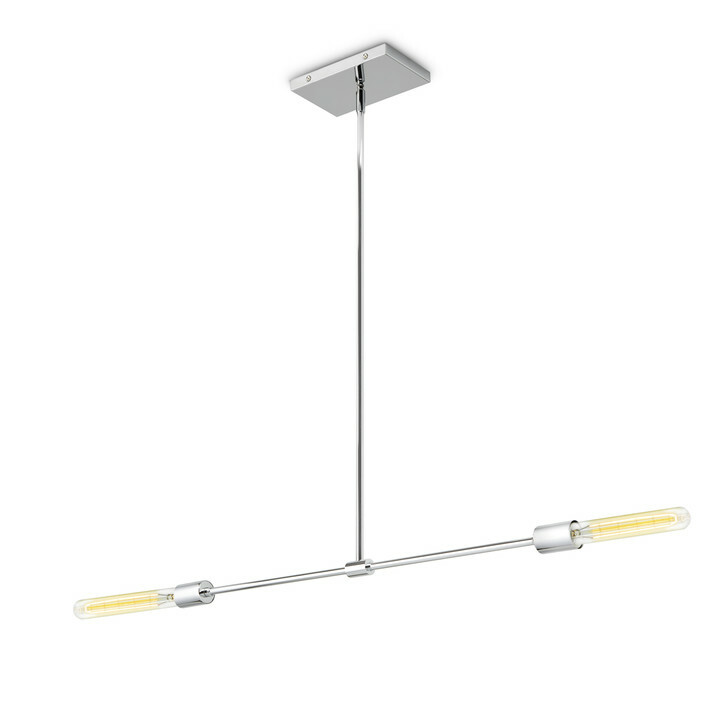 Using the Alton Pendant for kitchen ceiling lighting is a great idea. 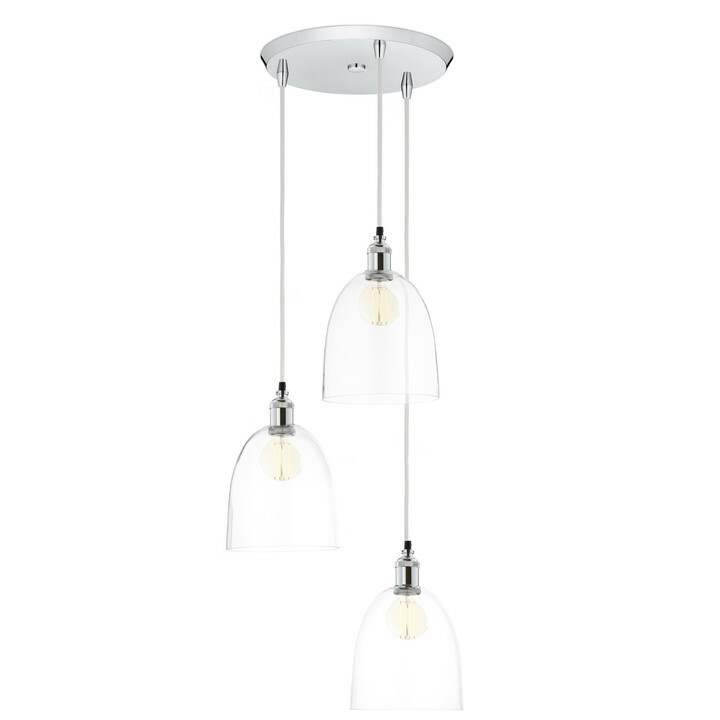 If you're going to put it above a kitchen island, you may want to go with two pendants, or a three-light pendant canopy, depending on how big the kitchen island is. See that one here. Is it real glass? thanks. 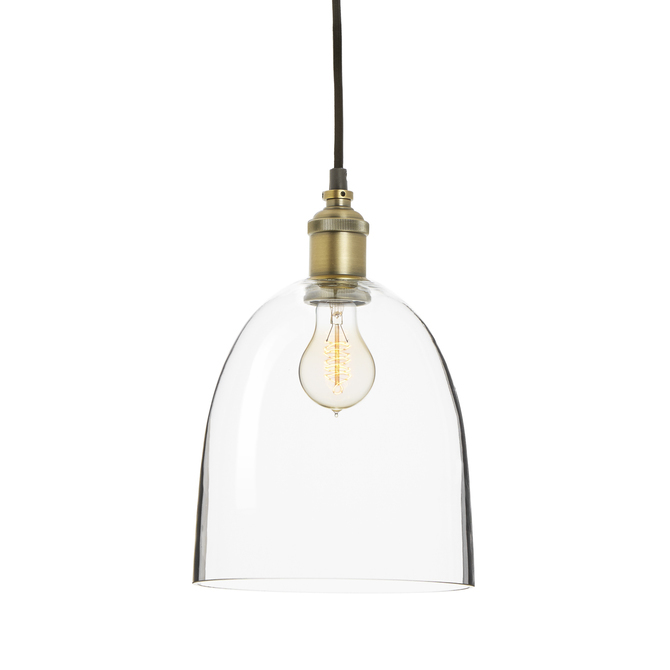 The Chic Dome Glass shade is made from real, hand-blown glass- and it's really pretty. How difficult is installation? Do I need an electrician? 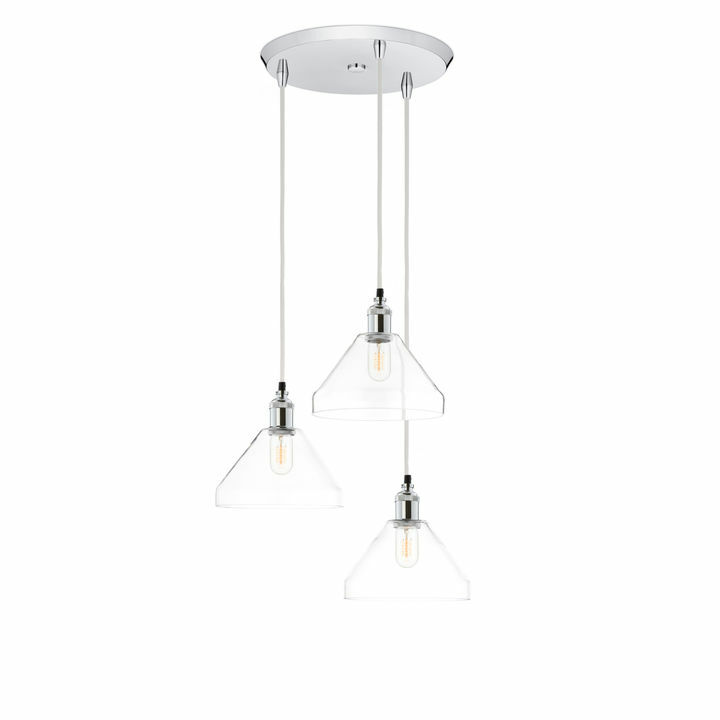 Installing the Alton Pendant light isn't difficult at all. Most people don't hire an electrician, but sometimes people are just more comfortable using a pro. The complete installation instructions are available in the manual on the Product Specification tab on this page. Take a look and give us a call if you have any questions! What kind of bulbs should I get for this light? Are there any kinds that won't work right or look good? The Alton Pendant with Chic Dome Glass is very versatile and most bulbs will look good with it. 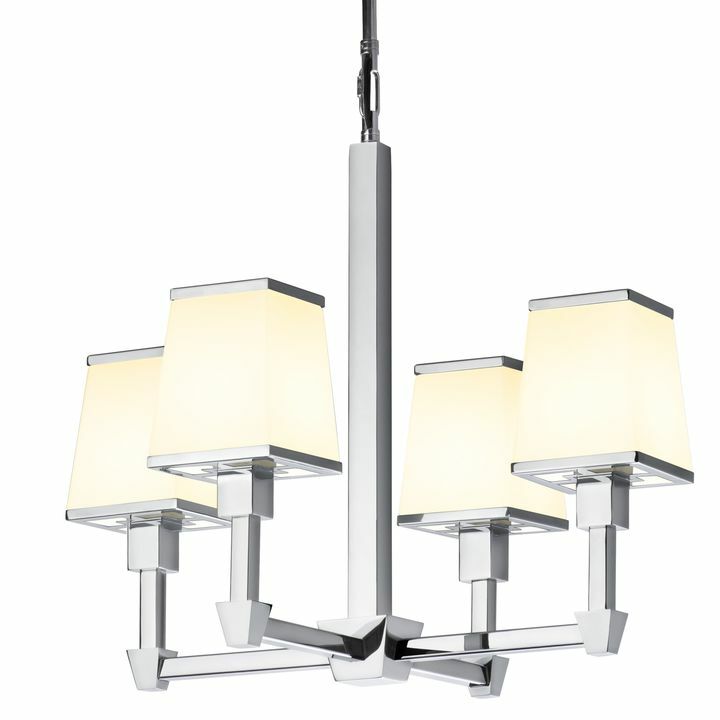 You can see for yourself by rolling over the bulb options under "choose a bulb" that you see under the finish choice. If you go with a bulb that is not on the list- make sure that it takes 60 watt at the most, and make sure it's not wider than a G40 bulb, or it won't fit in the glass. 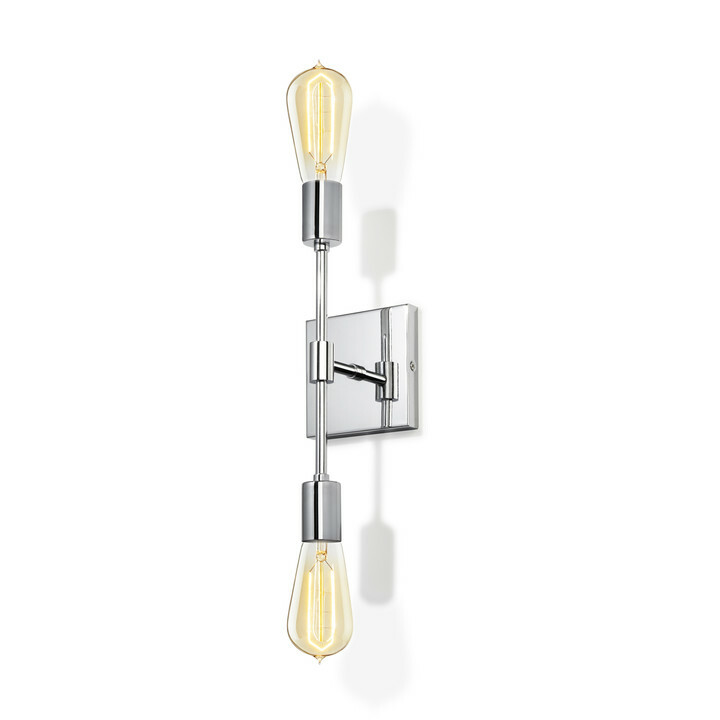 How big is the glass just by itself, not the whole pendant or socket? The Chic Dome Glass shade is 8" in diameter and 10" tall. 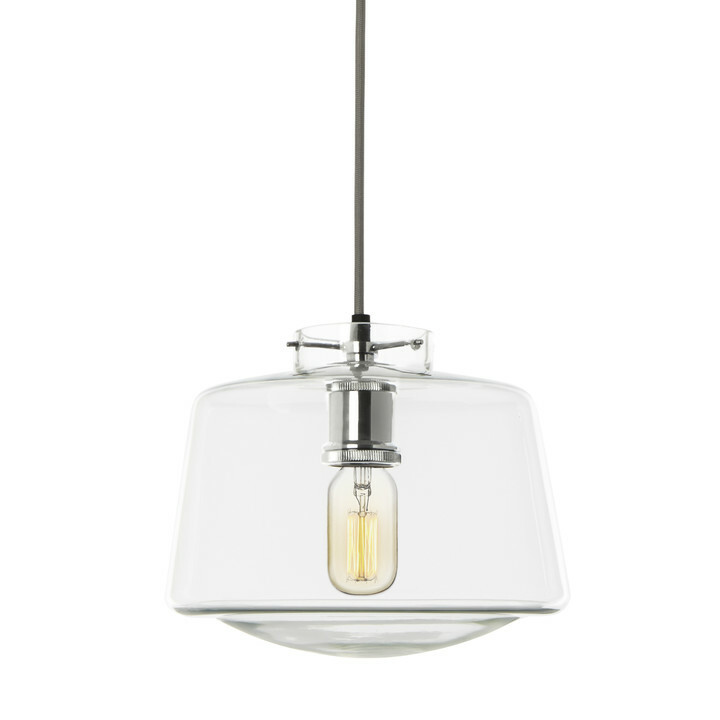 The Alton pendant light with Chic Dome Glass has an adjustable height range of 14.5" Min to 131.5" Max. 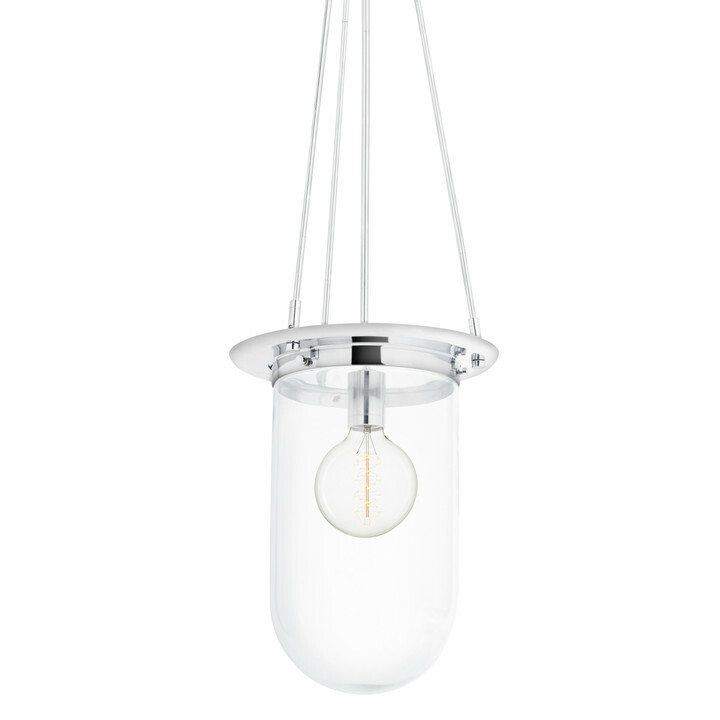 The widest part of the pendant light is 11" in diameter. For more information, please take a look at the Product Specification tab on this page.